As we prepare to kick off a year of special events to celebrate the extraordinary milestone of our bicentennial, we invite you to delve deeply into this website, a remarkable resource. Over the course of the year, special programs and events will focus on our history, our future, and the vital importance of law and the legal profession in addressing the complex challenges facing our world. Three landmark events — a September arts festival, “HLS in the Arts”; an October summit for exploring big ideas, “HLS in the World”; and an April event showcasing some of our contributions to local and global communities, “HLS in the Community” — offer wonderful opportunities to highlight 200 years of leadership, talent in its many forms, and service, and to imagine our next century. Stay tuned as we continue to add exciting programs to the schedule! Harvard Law School looks forward to welcoming alumni, faculty, students, staff and guests to all its programs and activities, including these bicentennial events. If you or an event participant requires disability-related accommodations, please contact Accessibility Services in the Dean of Students Office at accessibility@law.harvard.edu, or (617) 495-1800, in advance of the event. And if you have any issues accessing any specific content on this site, please contact online@law.harvard.edu. 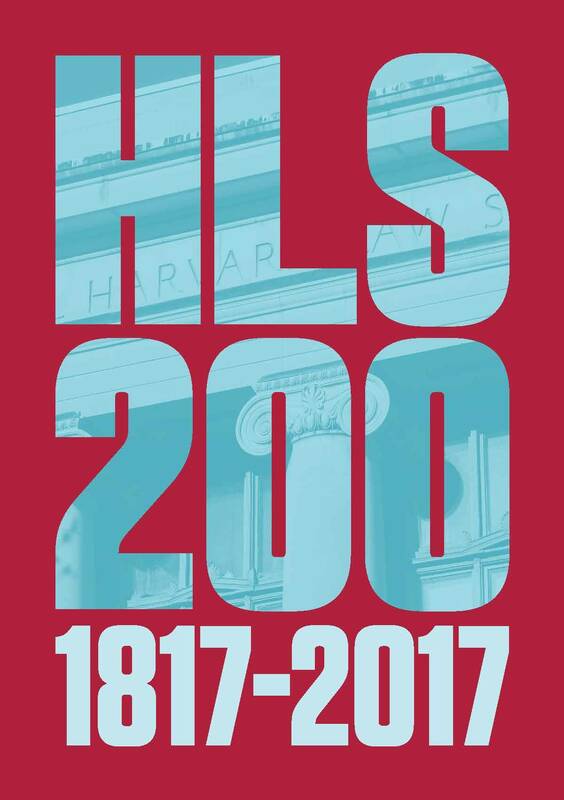 If you have questions about the bicentennial or would like to contribute content, please contact hls200@law.harvard.edu.